NaCoMe has come a long way since opening our doors in 1940. All our lodging spaces have heat and air conditioning with interior bathrooms. We offer a variety of lodging and meeting facilities to meet the needs of any group. You can make yourself at home in one of our bunk-style cabins or choose more private rooms. Our range of meeting spaces will allow groups of any size to gather for worship, play, or small group sessions. 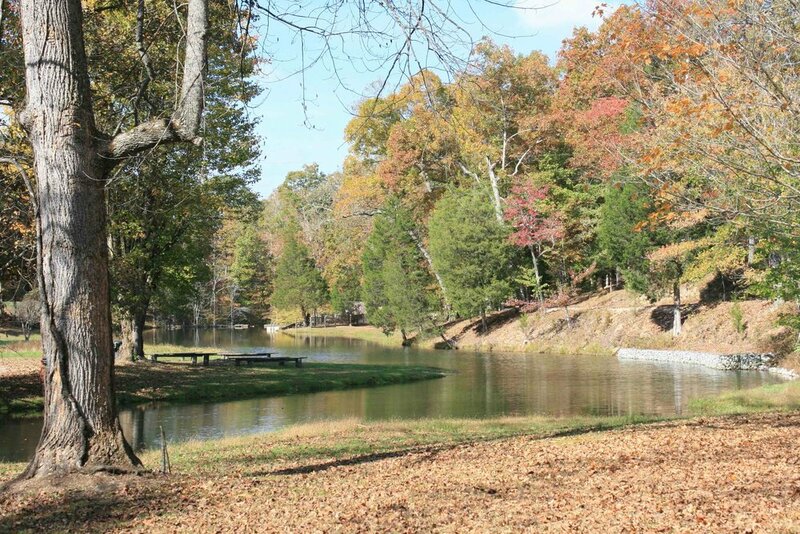 All of our standard cabins have 4 rooms, each with a private bathroom. Each room is bunk-style with 6-8 beds, one of which is full-size while the rest are twins. All cabins also feature an expansive covered porch. All cabins have heat and air conditioning, and most have a large meeting room in the center of the building. Most cabins have a fireplace and are handicap accessible. The Infirmary has two private rooms with a shared screened-in porch. Each room sleeps up to 3 people and has a private bath. Both rooms have heat and air conditioning. Cabins 1 and 2 have been recently renovated to add heat and air conditioning. Each cabin features two wings, each sleeping a maximum of 16. Each wing has modern bathroom facilities. The Cook's Cabin has four individual rooms with their own bathrooms. Each room has one double sized bed, as well as one or two bunk style beds. Cook's is an ideal spot for individuals or couples on your group's retreat. NaCoMe offers a range of options for meeting spaces. All of our spaces are different, meaning you can find a space to do just about anything. With everything you need from sound systems and projectors to chairs and tables, let us handle the heavy lifting, so you can focus on your group. want to talk more about a retreat at nacome? Thank you! We'll be in touch soon to start working with you on planning your retreat!